Handmade or “studio furniture” has been a strong presence in California since 1945. To celebrate this movement, curator Kathleen Hanna has traced the linage from pioneers Bob Stockdale, Arthur Espenet Carpenter, Arthur Hanna and J.B. Blunk to the present graduates of the wood furniture design program at California College of the Arts. This exhibition features 25 artists whose work has influenced California’s contemporary fine woodworking movement. Also on exhibit will be faculty selected works by students from the Furniture Design Program at California College of the Arts. Throughout the exhibition will be weekend demonstrations, lectures and events. Merryll Saylan lives and maintains a studio in Berkeley, California. Educated with a BA in Design from UCLA and an MA in Art from California State University Northridge, her work has been exhibited in many museums and galleries, including the Renwick Gallery, Museum of Art & Design, and the Yale University Art Gallery. Her pieces have been included in numerous shows such as Turning Wood into Art at The Mint Museum, Turned Wood Now at Arizona State University Museum, and the opening exhibition at the Museum of Arts & Design. 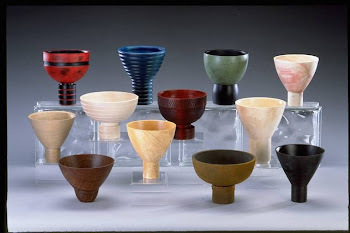 A leader in the use of color and texture on wood and a valued authority in wood turning method, Saylan’s writings on art, techniques, and the woodturning field have been published in books and magazines. 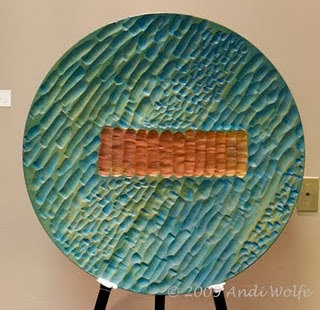 Saylan’s influence in the wood and craft communities is also felt through her teaching practice and her involvement in numerous arts organizations, serving on the boards of both The Wood Turning Center and the American Association of Woodturners and as a Master Member in the Baulines Guild. 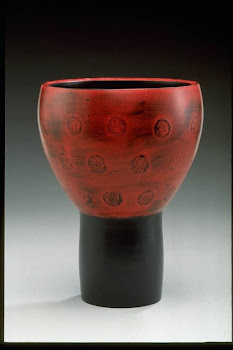 Saylan participated in Artist-in-Residence programs in the United States and England including Grizedale Sculpture Park, Cumbria, England; International Turning Exchange sponsored by The Wood Turning Center; and Anderson Ranch Arts Center, Colorado. She was a Visiting Artist and taught at CCA in San Francisco. In 2004, the US Department of State’s ART in Embassies Program sent her to Fiji to hold a series of public lectures and workshops where her work is on display at the US Embassy. She was invited to participate in the Smithsonian Archives of American Art and has recently finished working on that documentation. In 2009, Saylan was AAW, Professional Outreach Program Merit Award Winner.